Maianthemum stellatum, or Starry False Solomon’s Seal. Very pretty. I just got home from the Huron Fringe Birding Festival. 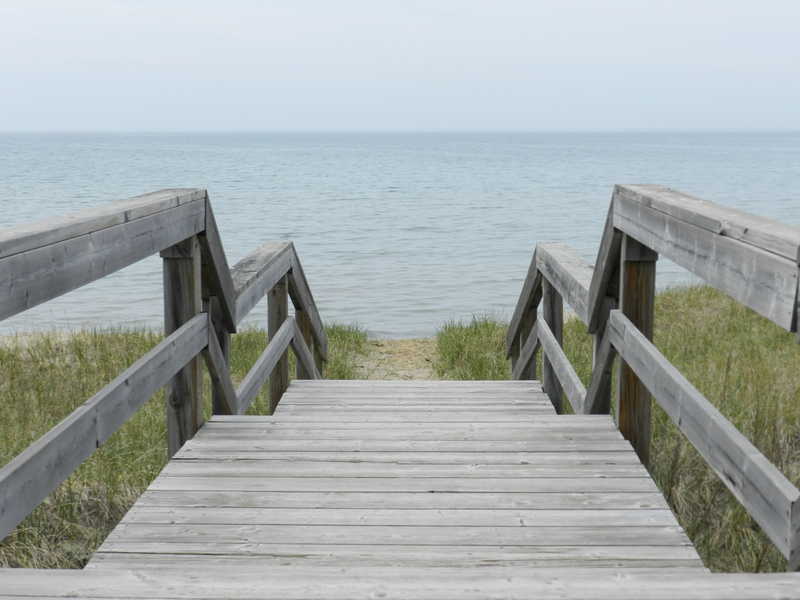 The “Fringe” part had me thinking it was some kind of arty alternative birdwatching event; however the “Huron Fringe” is actually a boardwalk trail along Lake Huron at MacGregor Point Provincial Park. I wasn’t disappointed though. Birders and naturalists are “alternative” by default, and arty… well, there WAS a lot of camera paraphernalia around. I’m certain the humans struggling under the weight of massive zoom lenses and tripods took some fantastic photos. The festival is an 8-day extravaganza that celebrates a lot more than birding. Hundreds of people attend up to a dozen different events each day. Yesterday I joined a guided tour of The Ark Farm B&B and learned about the owner’s efforts to incorporate wildlife habitat into their property and farming methods. They are doing something right; Meadowlarks and Bobolinks, both threatened grassland species, happily nest there and were a pleasure to watch and hear. Last night I attended the banquet, sat with some new friends, drank some wine, and listened to a talk on Loons by Doug Tozer of Bird Studies Canada, who is a wonderfully entertaining speaker. I also won a great little camera at the silent auction. Many thanks to Kerry for persuading me to up my bid. I accused him of ulterior motives (more funds for Friends of MacGregor Point Park!) but it was good advice nonetheless, and a good cause. I love my new camera. 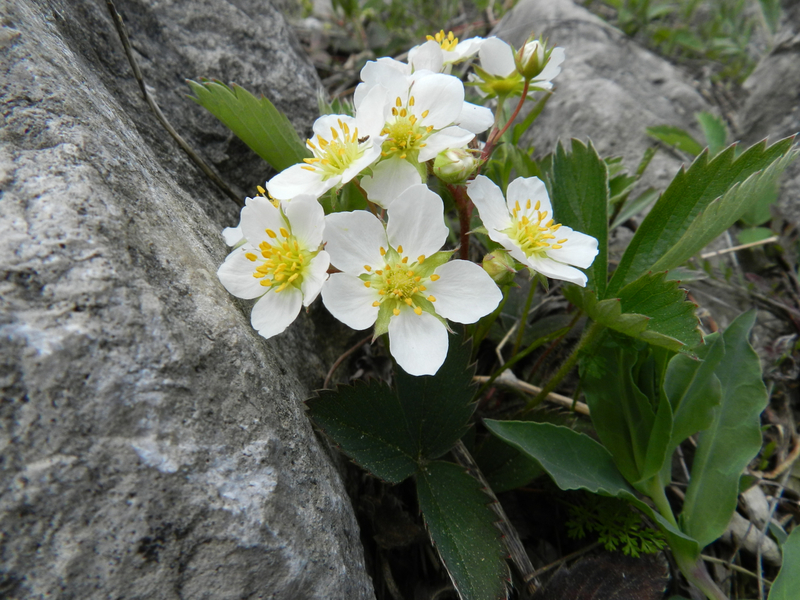 Today I was lucky enough to participate in the “Bird and Botany” tour of Inverhuron Provincial Park. The leader was a young fellow by the name of Scott Taylor, who is doing postdoctoral work at the Cornell Lab of Ornithology and grew up exploring Inverhuron. 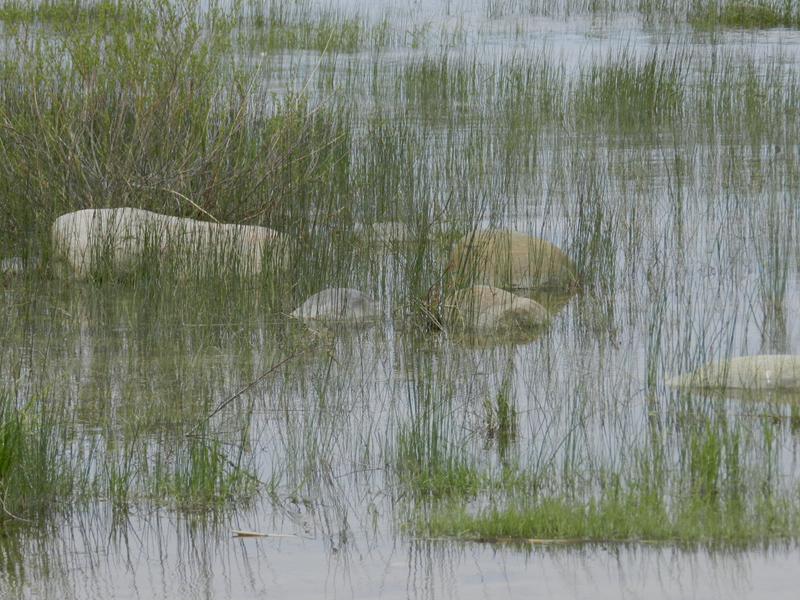 It was a day of birding, plant identification, and reptile/amphibian sightings. I learned a lot, found out what a small world it is, had some laughs, and met some great people. I hope I run into them again next year, because I’m definitely going back. My 4-star accommodations. 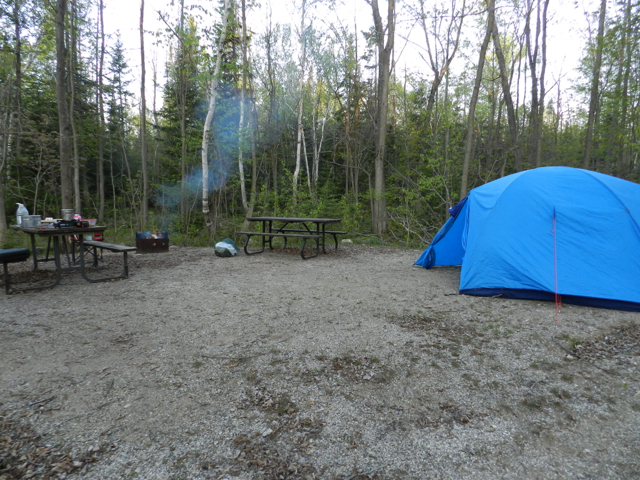 I LOVE camping! 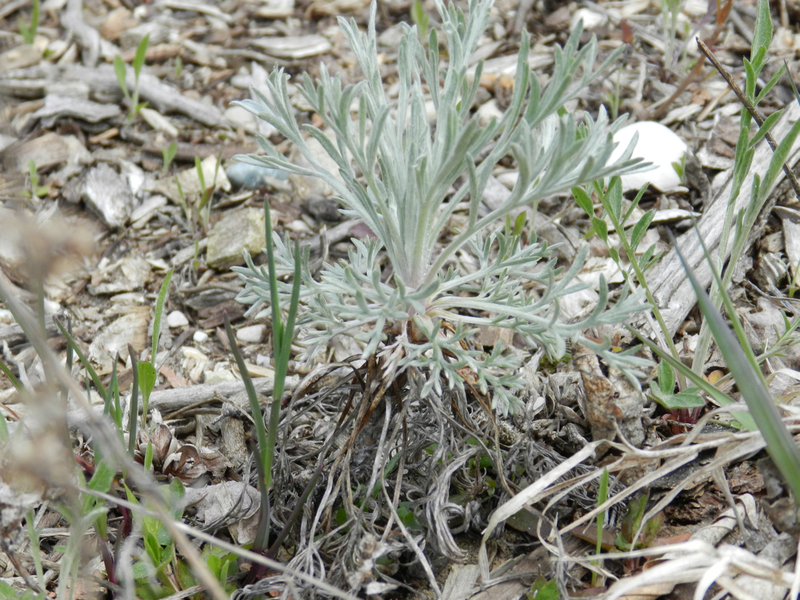 Artemisia campestris, which sounds much nicer than “wormwood”. 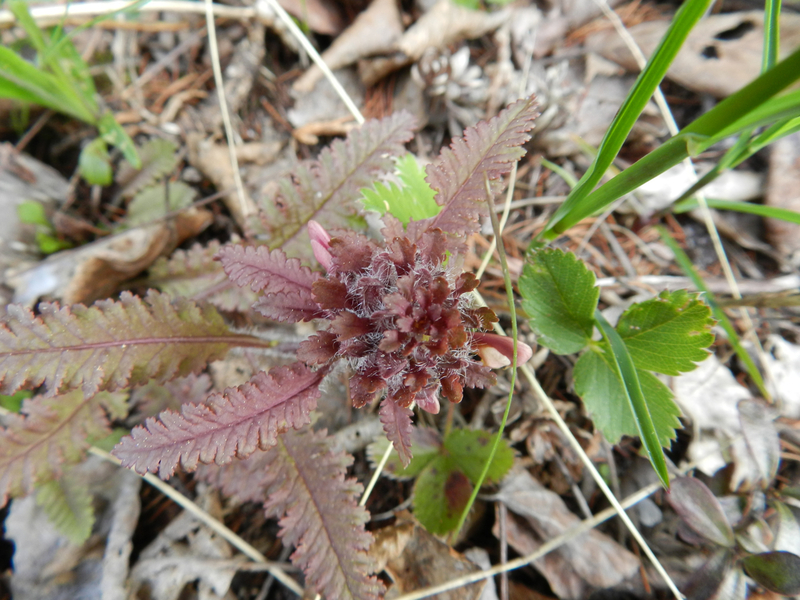 Pedicularis canadensis, or “Wood Betony”. 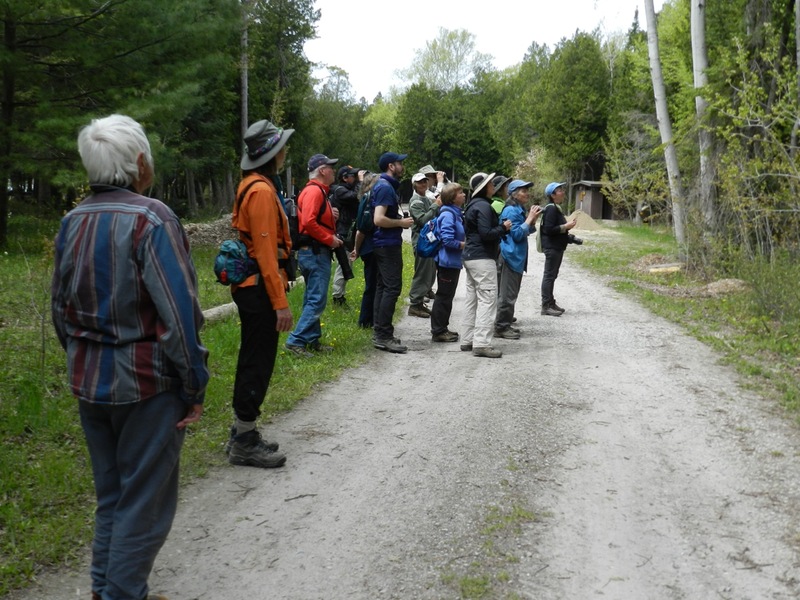 Trying to spot the Blackburnian Warbler. 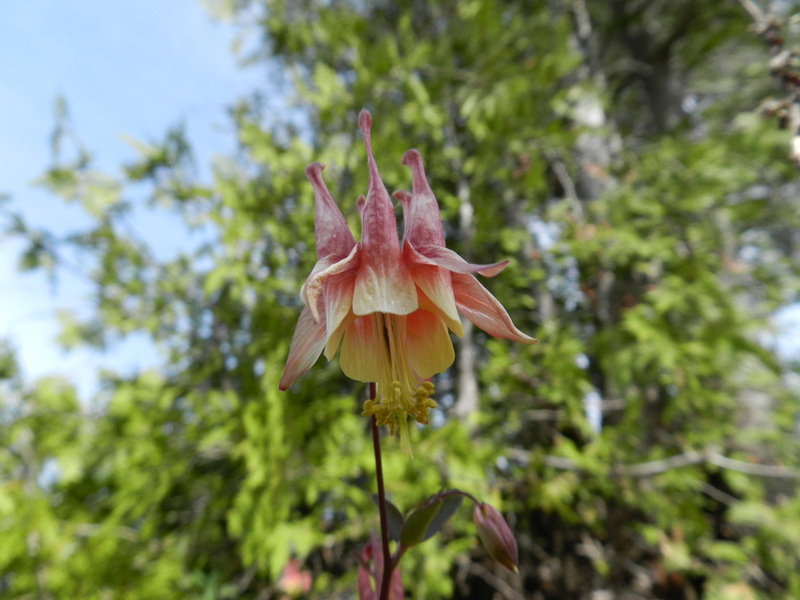 Aquilegia canadensis, our native Columbine. 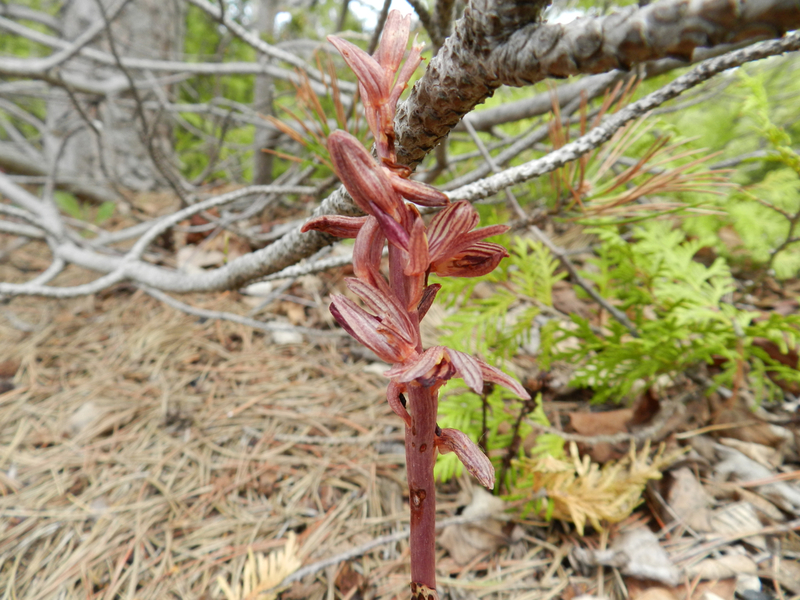 Corallorhiza striata, or Striped Coralroot. Neat saprophytic orchid. 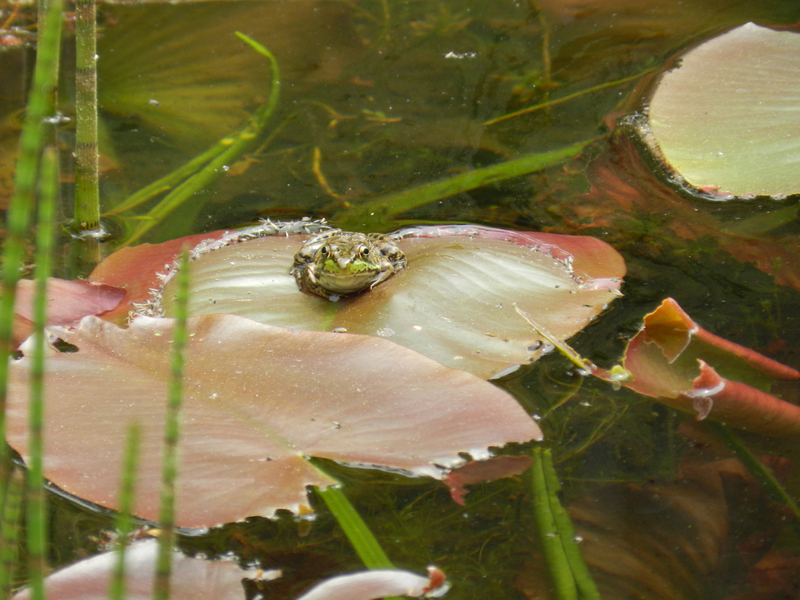 Mr. Frog hanging out on a lily pad and being all cliché. 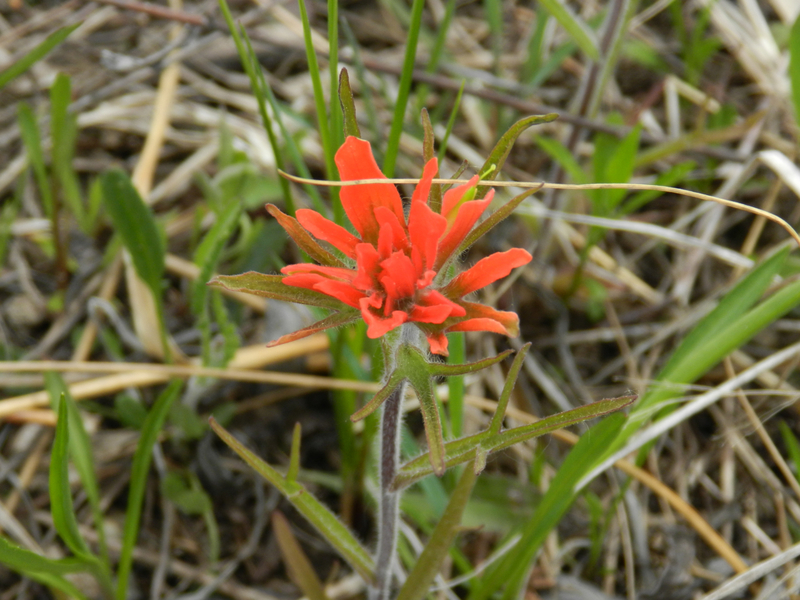 Castilleja coccinea, or Scarlet Indian Paintbrush. 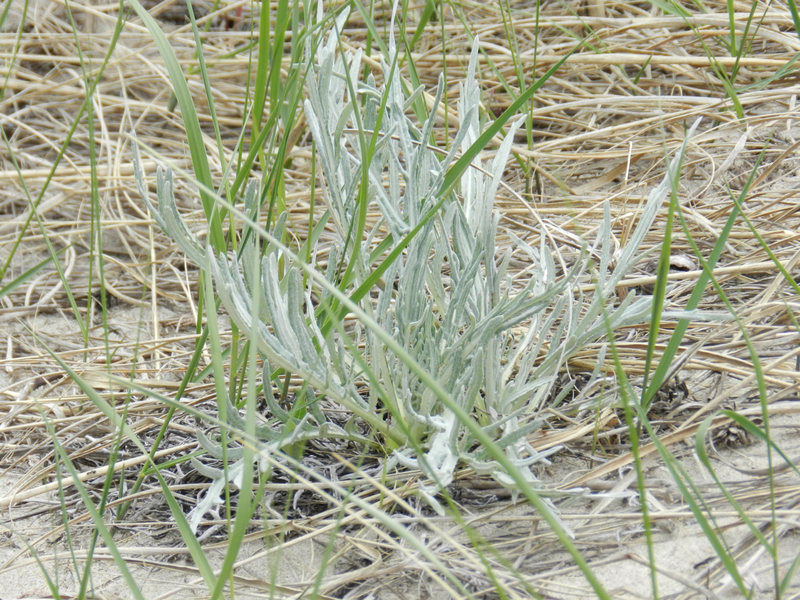 Cirsium pitcher, a rare Great Lakes coastal plant. Also known as Pitcher’s Thistle. 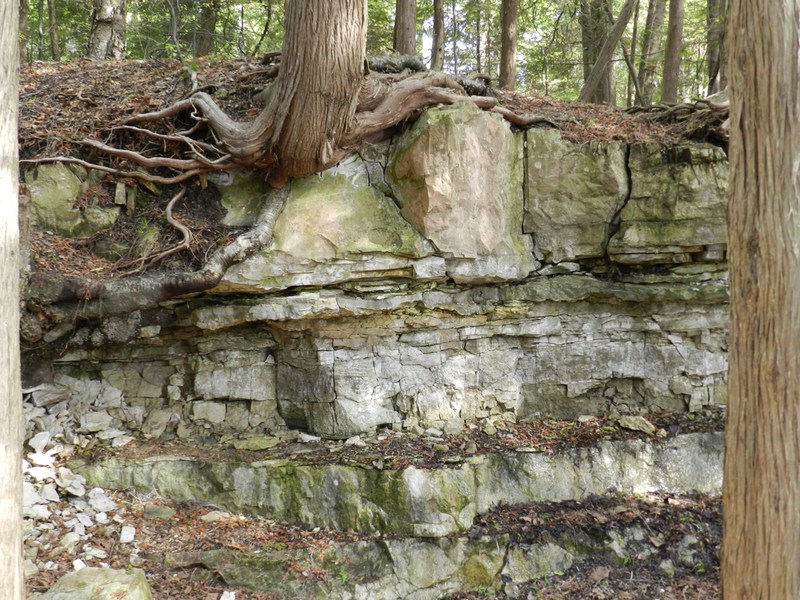 Roots and rocks. Very cool. 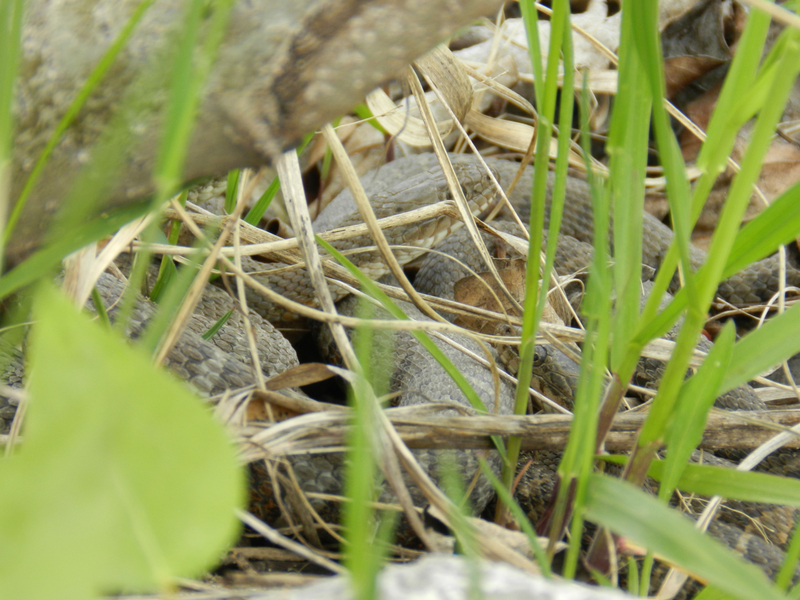 Northern Water Snake mating ball. The female is much larger than the males competing for her favours. 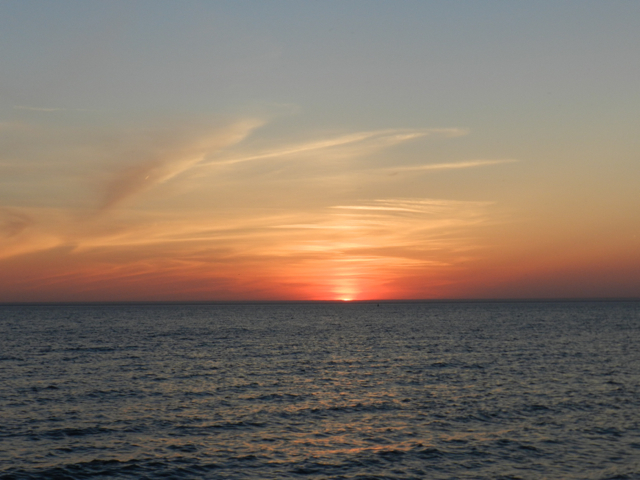 Beautiful sunset over Lake Huron. Me being arty with the new camera. 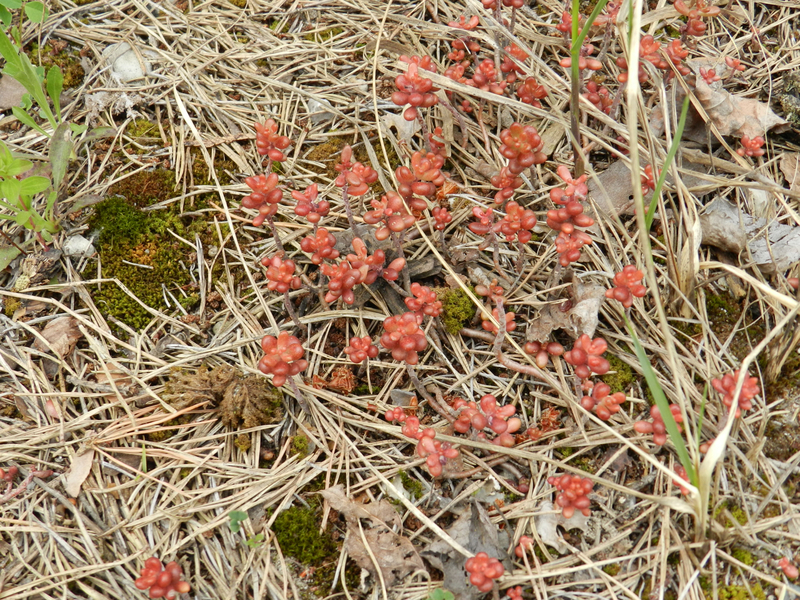 Some kind of sedum. Nice. 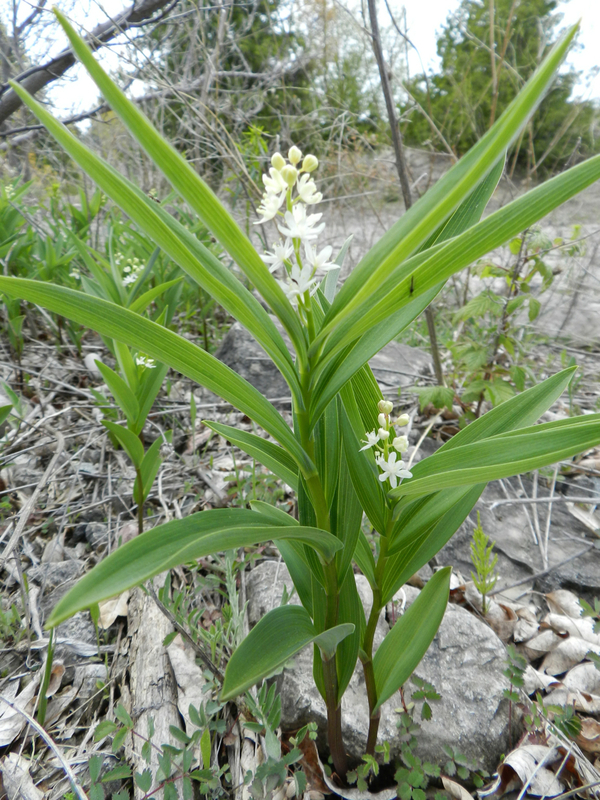 An unknown plant. Anyone know what it is? UPDATE: My thanks to naturalist Bill MacIlveen for satisfying my curiosity. He tells me that the unknown mystery plant is Daphne mezereum, and that the sedum matches Sedum caeruleum. 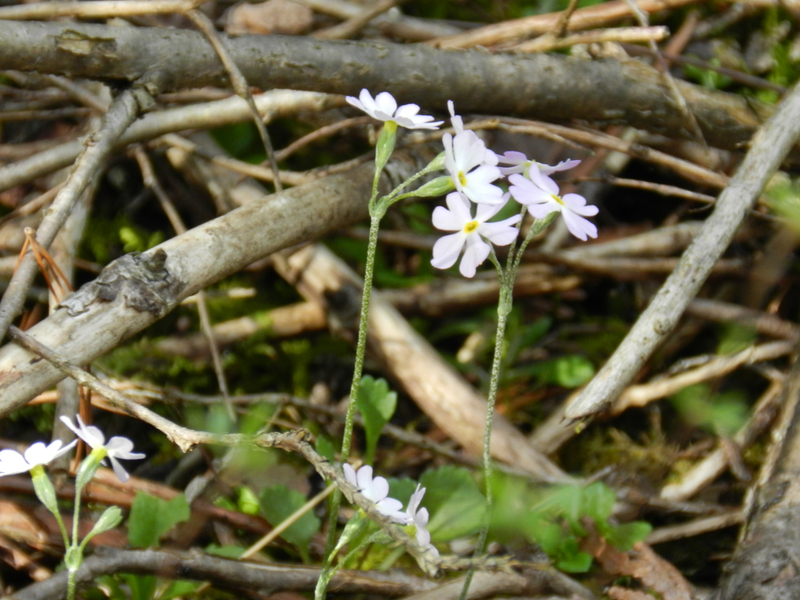 Both are garden escapees and not native to North America. 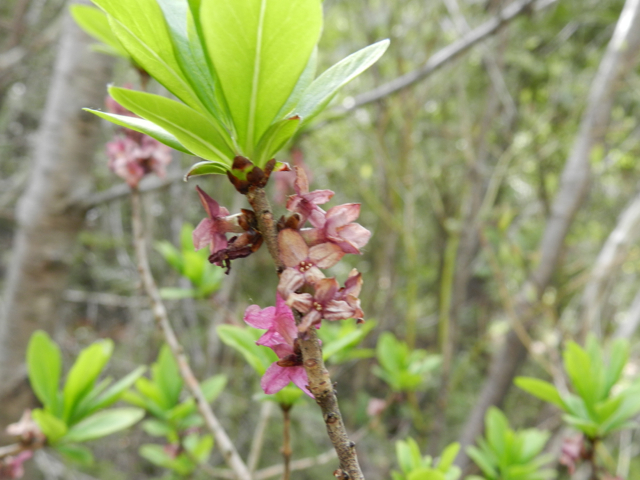 The bright red fruit of Daphne mezereum are dispersed in bird droppings but are very poisonous to humans. There’s nothing like unsolicited compliments, especially when they come from folks whose first time impression is one that will stay with them. Below is a Blog from a first-time HFBF attendee…we reblog it with thanks. Nice blog report! Good photo’s with new camera.